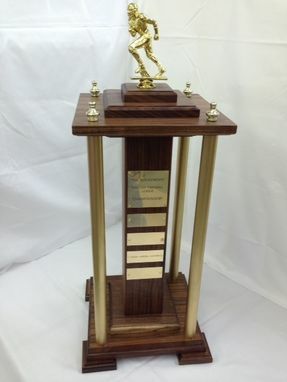 This Fantasy League Trophy was made from walnut, brass, and plastic. The engravings were done by a local sports trophy business. Additional engraved nameplates can be added to the center walnut piece on all 4 sides.